Hearing is in order to doing; the most attentive and the most frequent hearing of the word of God will not help us, unless we be also doers of it. If we were to hear a sermon every day of the week, and an angel from heaven were the preacher, yet, if we rested in bare hearing, it would never bring us to heaven. 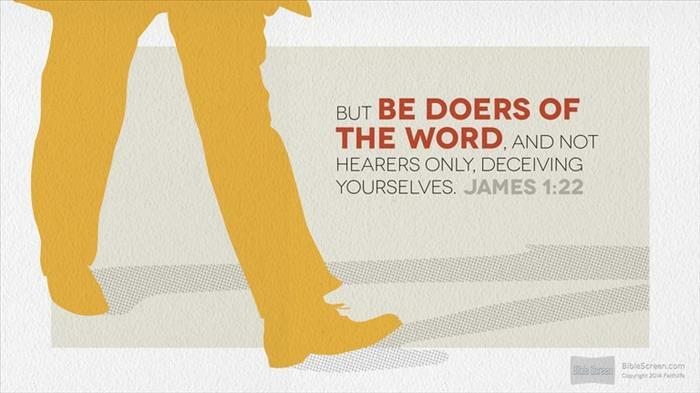 Therefore the Apostle James insists…that we practice what we hear. that which all this is in order to, and which crowns the rest, is that we be doers of the word. (Taken from Henry’s Commentary on James). God’s Word will do us no good if it doesn’t come flow our of our fingertips. The demons believe good theology, but God’s people live according to it. God’s Word will be of no help to you unless you live according to it. This entry was posted in Uncategorized and tagged christian living, james, matthew henry, obedience. Bookmark the permalink.